Beginning with the most extensive compilation of Gautier de Coinci’s Miracles de Nostre Dame, the study then examines lesser-known anonymous works such as the Vie des Pères and encyclopedic collections including the French version of Vincent of Beauvais’ Speculum historiale and the Ci nous dit, as well as a theatrical production of the Miracles de Nostre Dame par personnages, before concluding with the prose rendering of the Miracles by Jean Miélot. 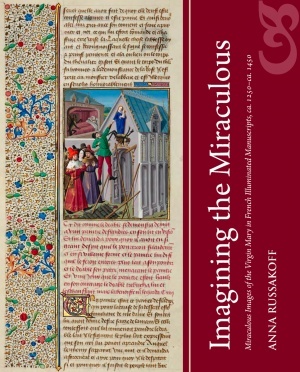 Imagining the Miraculous explores the ways in which these works depict physical images, such as panel paintings and sculptures, on the manuscript page. 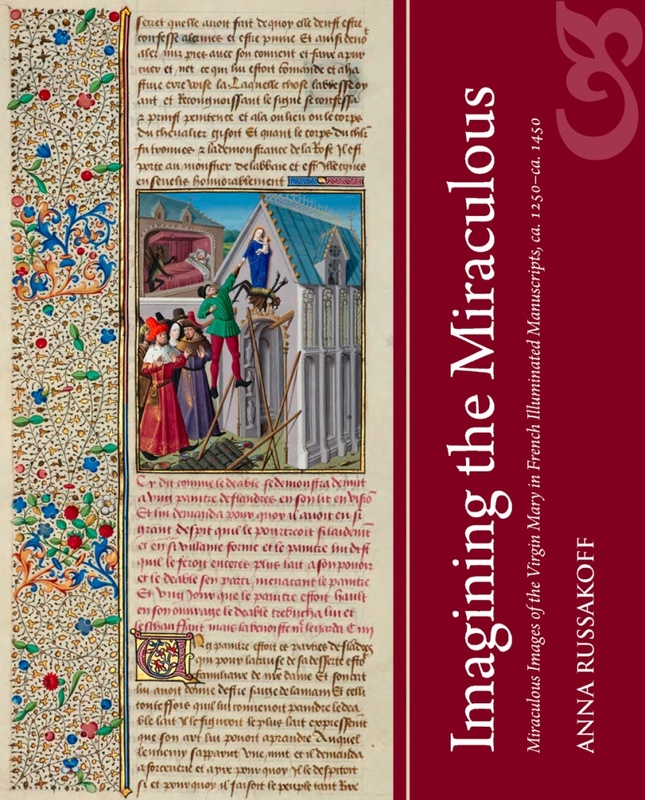 Each chapter provides a detailed iconographical analysis of the miniatures and the diverse techniques of visual narrative they harness, serving also to show how attentive reading of their reception can help us understand how the miniatures themselves might have led viewers to imagine the miraculous moment when an image comes to life. Anna Russakoff received her doctorate from the Institute of Fine Arts, New York University. She is currently Associate Professor and Chair of Art History and Fine Arts at the American University of Paris. She has published numerous articles and book reviews on Gothic illuminated manuscripts and related art forms, and is co-editor, with Kyunghee Pyun, of Jean Pucelle: Innovation and Collaboration in Manuscript Painting (2013) and, with Irène Fabry-Tehranchi, of L’Humain et l’Animal dans la France médiévale (XIIe–XVe s.) / Human and Animal in Medieval France (12th–15th c.) (2014).